Residential-Lovingly cared for bungalow with finished basement and garage on gorgeous landscaped lot on a very desirable quiet street in beautiful Ennismore! Nothing to do but move in! This home features 3+1 bedrooms, eat-in kitchen, rear deck with power awning, large windows to let in the light and wonderful main floor family room! Feature list of this home goes on and on. Many recent updates including furnace (2008), kitchen (2010), bathroom, shingles and basement windows (2007). You will enjoy the paved driveway with parking for several vehicles. The basement has 4th bedroom, rec room and a large workshop/utility. Really nice home at a very desirable price. Yesterday was the second annual golf tournament for the Selwyn Firefighter Association. The event was held at Tamarac Golf Club in Ennismore. Funds raised (a little over $5000) goes to our association then is distributed to various other worth charities and our members that are in need. 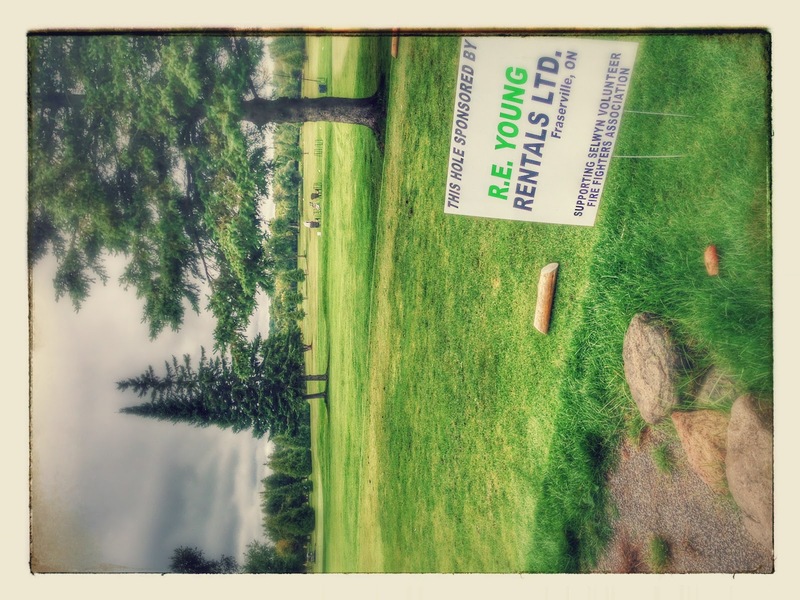 I have attached photos of our hole sponsors. Please support these businesses. Without them, this event would not be as successful as it was. We had a rainy start to the day, the golfers braved the weather and we started on time. It was a blast. Everyone seemed like they were tired from all the laughing. Not sure if quality golf was played but I assure you no one cared. Thank you for all who attended! Over the weekend we attended a wedding that was held at the pavilion behind the museum. Attending this weekend I rediscovered how cool this area is and how you should discover it too! First of all the museum is awesome. Check out their website here. I have not been their since I was a kid. I was truly impressed with the displays. I will be returning with my children very soon. (Wikipedia) The Peterborough Museum & Archives, formerly the Peterborough Centennial Museum and Archives (PCMA), is a historical museum located within the city of Peterborough, Ontario, Canada. Found only a short distance from the Trent-Severn Waterway National Historic Site of the Peterborough Lift Lock, the museum has a history spanning well over a century and is home to the second oldest historical collection of its kind within Ontario. Thousands of linear feet of archival materials and over 33,000 artifacts are included in the collection of which only 3% is displayed at any one time due to space restrictions. The hill and the park is just as amazing. Of coarse the views are far seeing as this is one of the highest points in Peterborough. There are benches to sit and enjoy.